Which is better, extension or torsion springs? Torsion springs are better because they balance the door’s weight better since they are found above the top of the door, unlike extension springs that are placed on either side. Torsion springs allow smoother and safer operations, which is why they are commonly used for heavier doors. R-value is the measure of thermal resistance to heat flow. 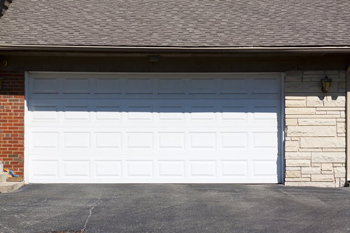 It is used by manufacturers to show energy efficiency of garage doors. Our experts in Northbrook explain that the higher the R-value, the better the insulating property. However, R-16 does not mean it is twice better than the R-value of R-8. What is garage door visual inspection? This is the means by which our experts in Northbrook or the property owner can tell if there is something wrong with the garage door without having to first delve into all the intricate parts. It is a quick way of making a diagnosis of things like broken springs, rust and bent brackets. How do I troubleshoot the safety sensors? The first step involves checking the power supply to them. You should replace the sensors' batteries or inspect the wiring to the mains power outlet. If the wiring is damaged, it has to be fixed right away. Clean the photo eyes with soft dry cloth. Then set them to face each other. If these things do not work, the sensors have to be repaired or replaced.